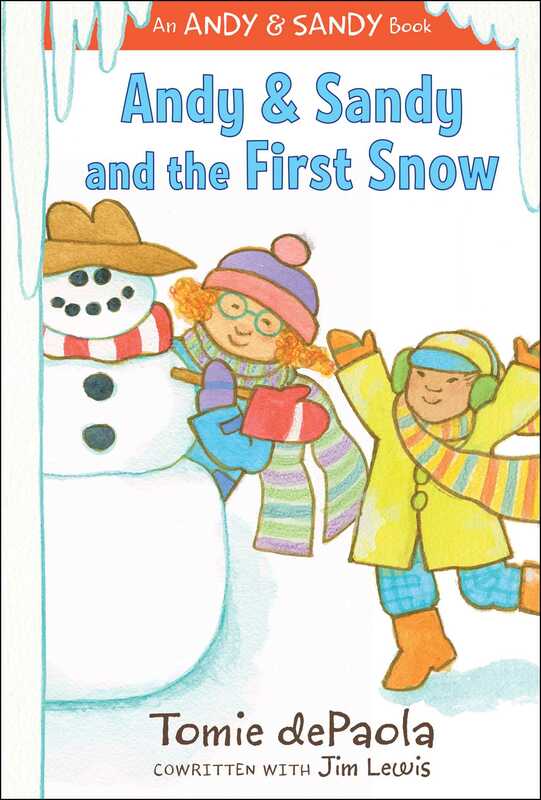 Andy and Sandy play in the snow in this third book of the easy-to-read picture book series about friendship, from Caldecott and Newbery Honoree Tomie dePaola and Emmy Award–winning writer for the Muppets Jim Lewis. When the first big snow of winter hits, Sandy wants to play outside—but Andy isn’t so sure. After all, snow is very wet and very cold! But Sandy drags Andy along to make a snowman, go sledding, and make snow angels. Will Andy discover that snow can be fun—despite being wet and cold?